Twenty-five years ago, the World Wide Web was just an idea from a young computer scientist at a European physics lab. Today, the simple idea had become a vital thing in everyone’s lives, linking BIILIONS of people together, thanks to Tim Berners-Lee for the great invention. The young computer scientist started to invent the www in 1989. At first, he was rejected and ignored by his colleagues when he proposed. However, with great perseverance, he wrote the first hypertext browser/editor (World Wide Web) and the first web server (httpd), which was launched to the public in 1991. Two years later, there were more than 500 known web servers and the World Wide Web had counted for one per cent of the Internet traffic. 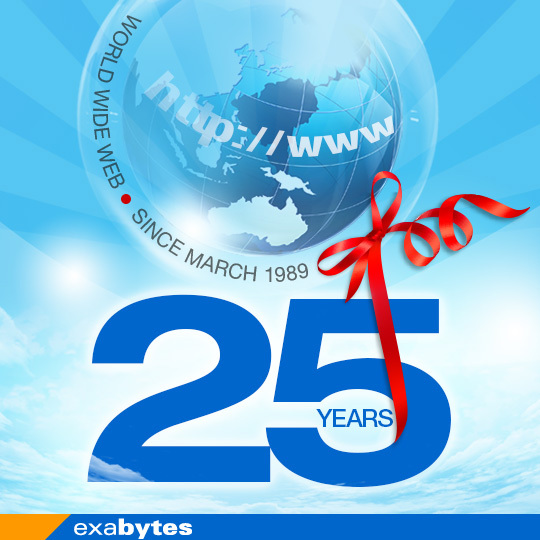 Twenty years later there were already an estimated 630 million websites. The Global Internet Usage Statistics 2013 shows that there are 2.4 billion Internet users around the globe. Today, www has become a part of our lives. Many cannot imagine life without the www.